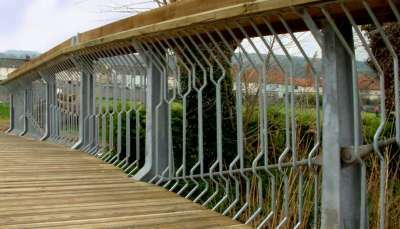 Span: 10 metres, width: 3 metres. 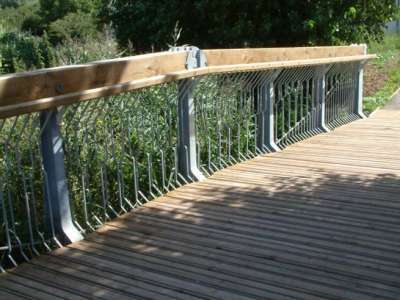 Galvanised Steel and Douglas Fir. The structure was conceived by John Packer and Mark Seberry of Structures One (http://www.structures1.com/html/people_mark.htm). 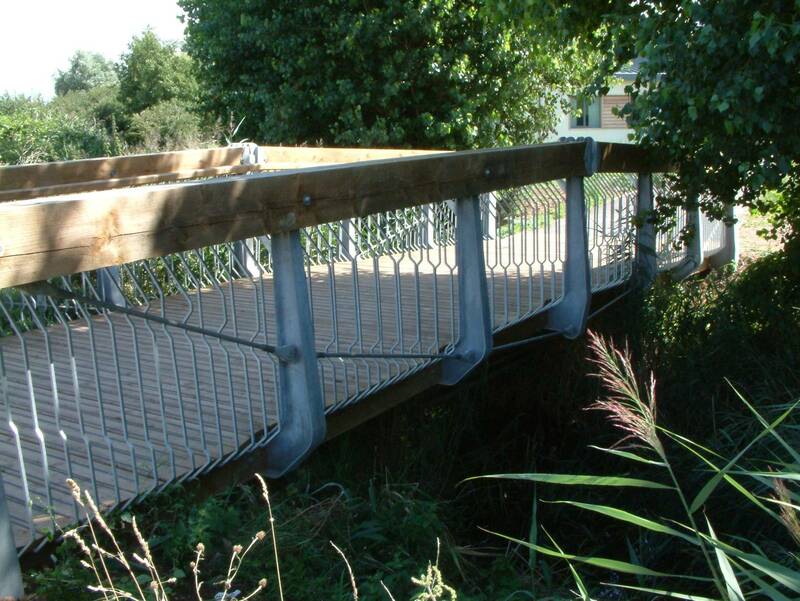 The ‘Cranked-Arch’ as it was named is part suspension bridge, part timber arch, designed with particular emphasis on making an interesting entranceway to the new Sure Start centre within an exceptionally tight budget. 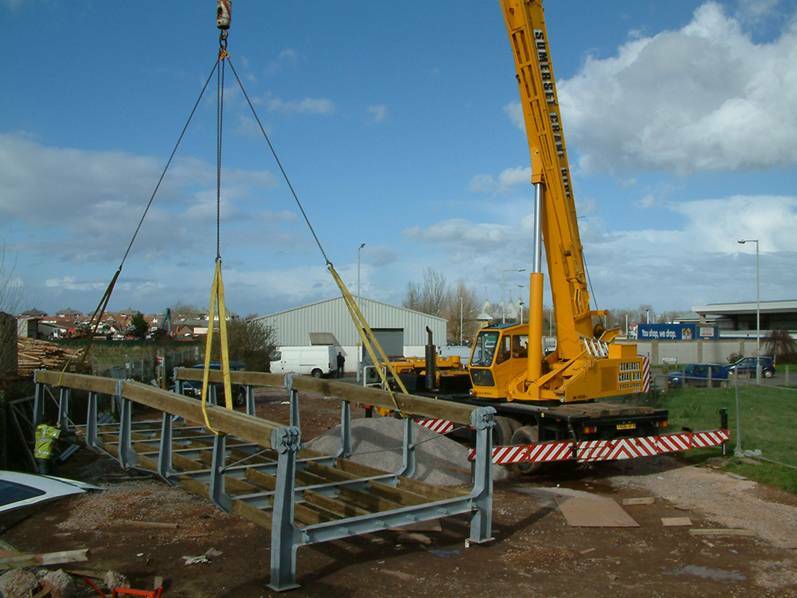 This was achieved by making individual components small enough to be produced in the Bristol workshop, then transported and assembled by a small team on site prior to craning into position. 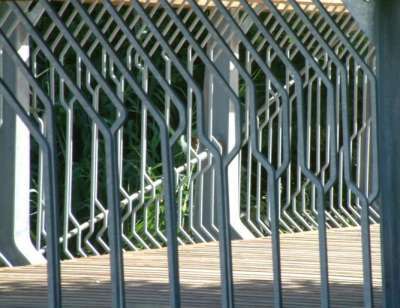 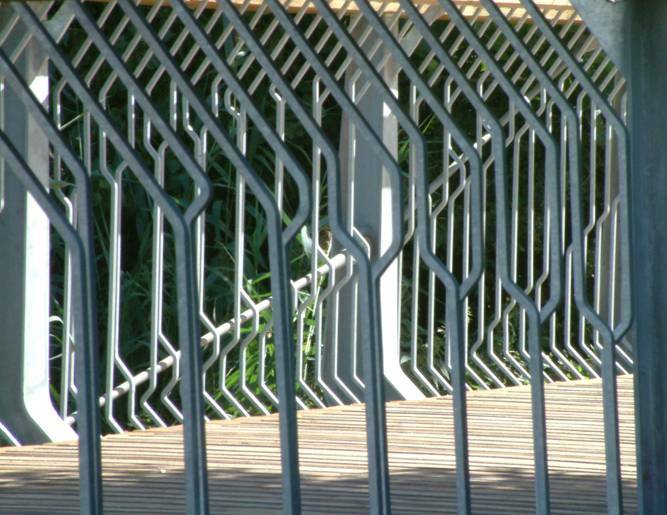 The balustrade design, partly inspired by the grasses growing in the stream, echoes and emphasises the line of the suspension tie-rods. Also the ‘fists’ at the ends of the timber beams are open-ended to show that they only take compressive forces. 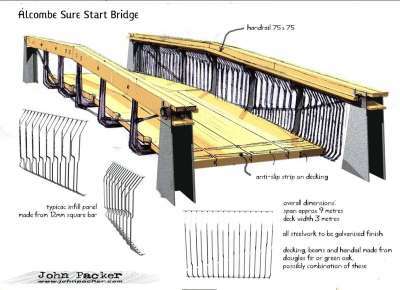 This is to help make the structure more ‘legible’, a philosophy of design which assumes the experience of walking across the bridge is more interesting if one has a sense of how it works, of the forces under one’s feet.